We are proud to partner with DRAW Architecture in creating the unique, upscale design of our Gallerie Townhomes. The spacious townhomes are located at the epicenter of some true Kansas City staples. Within walking distance to Crown Center, Union Station and the Liberty Memorial. 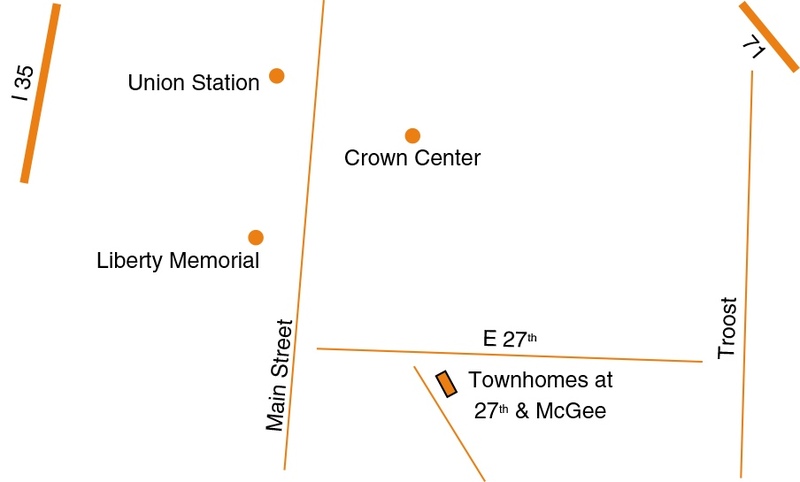 Conveniently located on the KC bus route and easy access to I-35 and 71 Hwy. Perfectly situated among a variety of retailers, shops and eateries, residents can enjoy the vast offerings of local businesses. Two options are currently available. 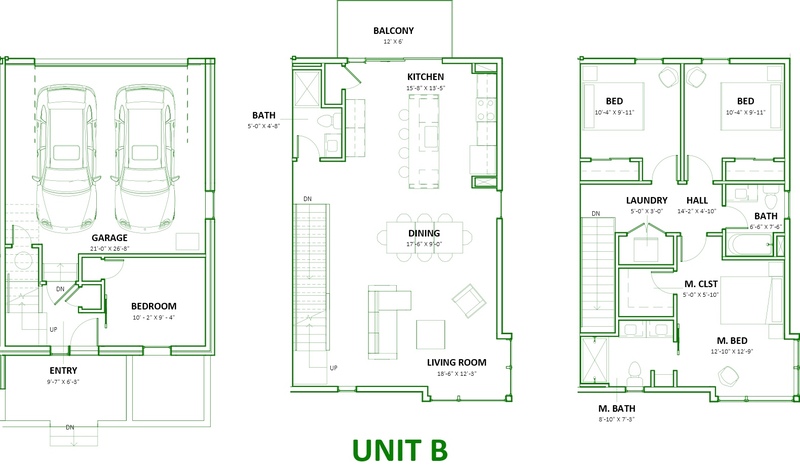 Our two end units offer four bedrooms, three baths and a two-car garage. Six additional homes offer three bedrooms, three baths and a two-car garage. Come home to great views, great amenities and great neighbors! Act now because these nine homes will go fast! 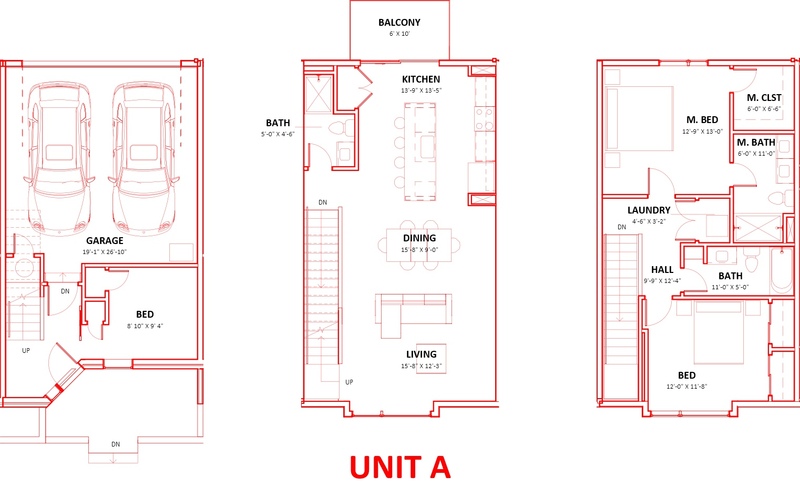 Click on the information icon on the site plan below to view the floor plans of the two unit types.